4: The machine comes with the BOTTLE CONVEYOR, which can be connected with the filling, capping and washing machine. 5: Power consumption is ONLY 30KW thanks to the special designing of the heating system. 50% electricity will be saved compared with traditional machine’s consumption. After using 2 years, the saving on the electivity is the same valve as the machine's cost. 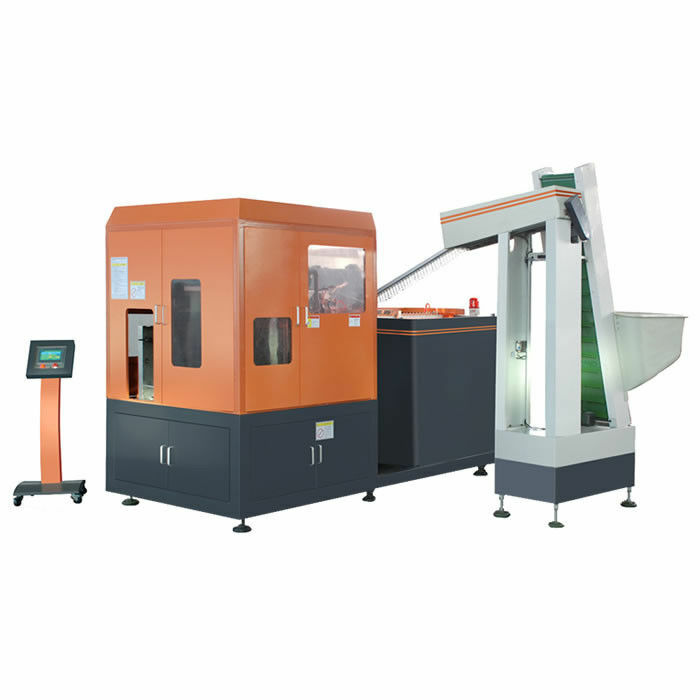 6: Design of the machine is simple; It is easy to operate the machine and maintain the machine. This blowing machine is a fully automatic, high intelligent, stable and reliable blowing machine, with simple structure, and low energy consumption. It is very popular and well used in food, beverages, cosmetics, pharmaceutical industry.